Here you'll find the legal documents, security standards, and policies that are core to our service. You'll also find information about how we comply with regulatory guidance. The English version will govern our relationship - translated versions are provided for convenience only and will not be interpreted to modify the English version. Welcome to the User Agreement for Capital Confirmation Inc. This Agreement describes the terms and conditions applicable to your use of our services available under the domain and sub-domains of www.confirmation.com (including www.capitalconfirmation.com, www.myconfirmation.com, www.cashconfirm.com, www.bbaconfirmations.com, and www.bba.confirmation.com) and the general principles for the websites of our subsidiaries.如果您不同意接受本协议条款与条件的约束，请勿使用或访问我们的服务。 You evidence your acceptance of the terms and conditions of this Agreement by checking the box for the “Yes, I have read and accept the User Agreement.” statement and clicking the “Create New Account” button on Capital Confirmation’s website and through your use of any of the Confirmation.com services (aka “Confirmation” service). If you have any questions, please email us at customer.support@confirmation.com. Capital Confirmation provides a venue for digital transaction management, including but not limited to, audit confirmations, accounts receivable/accounts payable confirmations, credit inquiries, employee benefit plan audits and confirmations, and legal confirmations for accounting firms, law firms, banks, and other users (the “Service”). 3. Capital Confirmation is a Venue. 3.1 Capital Confirmation不是银行或法律事务所，也不是银行或法律事务所的授权代表。我们的网站旨在为用户提供一个可随时随地申请、接收和购买询证函的渠道。 We are not involved in the actual transaction between users of and providers of the confirmation information.因此，我们无法控制申请和复函的质量、准确性、及时性、合法性或真实性。 We also cannot ensure that a provider will actually complete a transaction. 3.5 客户支持。Monday through Friday between the hours of 8:00 A.M. and 5:00 P.M. Central Standard Time, customer support shall be available free of charge by telephone or by email at one or more phone numbers or email addresses to be specified on our website located at www.confirmation.com. 4. Authorizing, Requesting and Purchasing. The Out-of-Network confirmation service requires the requestor to enter the contact information for the responder and the responder’s company.作为申请人，您应确定网外询证函发向何人及哪个实体，因此该实体及该实体的人员便是复函方，您同意全权负责对个人复函方及其声称所代表的公司进行身份验证和确认。您理解，Capital Confirmation并未也不会确认复函方或其声称所代表的公司的身份。 You release and hold harmless Capital Confirmation from any and all claims related to the responder’s identity and/or the identity of the company the responder claims to represent if you request confirmations through www.confirmation.com using the Out-of-Network confirmation service. Capital Confirmation将拥有并保留与服务相关或从本协议描述的关系中产生的所有知识产权的所有权利、所有权和利益。“知识产权”是指所有想法、发现、发明、开发、设计、改善、商标、服务标志、商业秘密、专有信息、程序、源代码、目标码、专利申请、专利、版权（在其期限内，包括版权续约、延展及归复）、受版权保护的作品以及相关商誉，包括当前存在或之后产生的增强、改善和衍生作品。 You hereby assign and transfer to Capital Confirmation any and all rights in any such Intellectual Property, either presently existing or hereinafter arising, and agree to take such actions (at Capital Confirmation's expense) as Capital Confirmation may reasonably request to secure such rights for Capital Confirmation.作为我们服务的注册用户期间以及从上次登录之日起两 (2) 年期限内，您同意不提供或协助他人提供在任何方面与Capital Confirmation所提供之服务相竞争的服务。 Unsolicited ideas or product feedback will automatically become our property, without any compensation to you and we may use or distribute such submissions and their contents for any purpose and in any way without any obligations of confidentiality or otherwise. 9.1 许可证。 You agree to grant us a non-exclusive, worldwide, perpetual, irrevocable, royalty-free, sublicensable (through multiple tiers) right to use your company name, registered trademark, word mark, service mark, and logo in correspondence with Clients and Users related to the Service. 您同意，未经我们事先明确书面许可，您不会使用任何机器人、蜘蛛程序或其他自动设备或手动流程监控或复制我们的网页或网页内容。 You agree that you will not reverse engineer, disassemble, decompile, decode, adapt, develop, or modify the website or Service, or otherwise attempt to derive or gain access to the source code of the website or Service, in whole or in part.您同意您将不使用任何设备、软件或例行程序规避我们的安全功能，干扰或试图干扰Capital Confirmation网站及网站上任何活动的正常运作。您同意，您不会采取任何对我们的基础设施造成不合理或过多负荷的行动。我们网站上的大部分信息均会实时更新，属于专有信息，或者由我们的用户或第三方许可给Capital Confirmation使用。您同意，在未得到Capital Confirmation或相关第三方事先明确书面许可之前，您不会复制、再创作、窜改、修改、创建衍生作品或公开展示我们网站上的任何内容（您的信息除外）。 You must ensure that all information you supply to us through our website or Service, or in relation to our website or Service, is true, accurate, complete and not misleading. You shall have sole responsibility for the legality, reliability, integrity, accuracy, and quality of this information. You shall not access all or any part of our website or Service to build a product or service which competes with the Service. You shall not attempt to obtain, or assist third parties in obtaining, access to our website or Service, other than as provided under this Agreement. You shall not make, nor permit any party to make, any use of our website or Service other than to avail of the Service. You shall not make alterations to, or permit our website or Service or any part of it to be combined with, or become incorporated into, any other programs. You shall not provide or otherwise make available our website or the Service in whole or in part (including object and source code), in any form, to any person without our prior written consent. You shall not infringe on our licensors' intellectual property rights or those of any third party in relation to your use of our website or Service. Without limiting other remedies, we may immediately remove you, warn our community of your actions, issue a warning, temporarily suspend, indefinitely suspend or terminate your membership and refuse to provide our services to you if: (a) you breach this Agreement or the documents it incorporates by reference; (b) we are unable to verify or authenticate any information you provide to us; or (c) we believe that your actions may cause financial loss or legal liability for you, our users or us. 12. Electronic Communications; Identifiers and Passwords; Binding Effect. All Customer Financial information residing within Confirmation.com’s secure processing controls will be maintained and stored according to our stated security and privacy policies. Confirmation.com takes no responsibility for Customer Financial information once this data is no longer within Confirmation.com’s control (e.g data downloaded by user, or mailed confirmations). 13A. Personal Data transferred outside of the EU / EEA / Switzerland. This Clause 13A applies where we process ‘personal data’ (as defined in Schedule 1). We are committed to ensuring that safeguards in place to protect such data that we store and process. Our data processing activities will take place in a third country not recognized by the European Commission or the Swiss Federal Data Protection and Information Commission as providing an adequate level of privacy protection, therefore where you are established in the EU / EEA / Switzerland or our services to you involve the transfer of personal data which originates from the EU / EEA / Switzerland, Schedule 1 will apply and is incorporated into and forms part of this Agreement. Subscriber certifies that any and all subject(s) set up as the subscriber’s client(s) on the Confirmation.com service are authorized representatives of the subscriber’s client. Capital Confirmation may, from time to time, conduct various audits of Subscriber's practices and procedures to determine Subscriber's compliance with this Agreement.订户将在所有这类审计过程中予以合理配合。 Capital Confirmation may conduct on-site and/or off-site audits of Subscriber's facilities as Capital Confirmation determines during normal business hours, and upon reasonable notice. 我们及子公司、员工和供应商按照“现状”提供网站和服务，但不提供任何类型的保证。 WE, TO THE FULLEST EXTENT PERMITTED BY LAW, DISCLAIMS ALL WARRANTIES, INCLUDING THE WARRANTY OF MERCHANTABILITY, NON-INFRINGEMENT OF THIRD-PARTIES' RIGHTS, AND THE WARRANTY OF FITNESS FOR A PARTICULAR PURPOSE.提供方概不保证服务或其任何内容的准确性、可靠性、完整性或及时性。 WE MAKE NO WARRANTIES THAT THE WEBSITE OR SERVICE WILL REMAIN AVAILABLE. WE RESERVE THE RIGHT TO DISCONTINUE OR ALTER ANY OR ALL OF THE WEBSITE OR SERVICE, AND TO STOP PUBLISHING OUR WEBSITE OR SERVICE AT ANY TIME AND IN OUR SOLE DISCRETION WITHOUT NOTICE OR EXPLANATION, AND YOU WILL NOT BE ENTITLED TO ANY COMPENSATION OR OTHER PAYMENT UPON THE DISCONTINUANCE OR ALTERATION OF OUR WEBSITE OR SERVICES. IN NO EVENT SHALL WE, OUR SUBSIDIARIES, EMPLOYEES OR OUR SUPPLIERS BE LIABLE WITH RESPECT TO THE ACCURACY OR RELIABILITY OF INFORMATION PROVIDED BY THE AUDITOR, WHETHER INPUTTED INTO THE CAPITAL CONFIRMATION WEBSITE OR ANY ASSOCIATED PLATFORMS BY US CAPITAL CONFIRMATION OR BY THE AUDITOR. THE AUDITOR MAINTAINS THE SOLE RESPONSIBILITY AND LIABILITY FOR REVIEWING AND APPROVING THE INFORMATION POPULATED INTO THE CAPITAL CONFIRMATION WEBSITE AND ASSOCIATED PLATFORMS. 19. Fair Credit Reporting Disclosure. The parties acknowledge that CCI is not a consumer reporting agency as such term is defined in the federal Fair Credit Reporting Act, 15 U.S.C. 1581 et seq. ("FCRA") and therefore, is not subject to the requirements or provisions of the FCRA. Any reports accessed through the Services or Sites do not constitute consumer reports as such term is defined in the FCRA, and accordingly, such reports may not be used to determine eligibility for credit, employment, insurance underwriting, tenant screening or for any other purpose provided for in the FCRA. CCI makes no representations or warranties as to its compliance or certifications with respect to the Fair Credit Reporting Act or its regulatory requirements. However, other Users, including banking institutions, financial organizations, credit reporting agencies, and other entities with which the User may interact through the Services or Sites may be subject to the Fair Credit Reporting Act. CCI makes no representations or warranties about such other User's compliance or certifications with respect to the Fair Credit Reporting Act or its regulatory requirements. CCI shall not be deemed a guarantor of the accuracy or completeness of information provided by other Users. Subscriber shall indemnify and hold Capital Confirmation and (as applicable) our parent, subsidiaries, affiliates, officers, directors, agents, and employees and the financial institutions harmless from any and all third-party claims, losses and damages, liability, and costs, including attorney’s fees, against, or incurred by, Capital Confirmation to the extent such claims, damages, liability and costs result directly or indirectly from: (a) Subscriber’s negligence or intentional conduct; (b) Subscriber’s breach of its obligations under this Agreement including, but not limited to, any breach which results in the unauthorized and/or non-permissible use of information obtained via Capital Confirmation’s Confirmation.com service or any other such service under this Agreement; (c) any claim that our website or Service or the use thereof infringes upon, misappropriates, or violates any intellectual property rights of any third party, provided that such claim results from or is related to (i) an unauthorized modification of our website or Service; (ii) the combination of the website or Service with software, hardware, or equipment not provided by us if our website or Service alone would not be the subject of such claim; or (iii) your unauthorized use of the website or Service; (d) any data breach suffered by Subscriber, Subscriber’s vendor or processor, or by a vendor or processor for Capital Confirmation; or (e) any claim, action, audit, investigation, regulatory action, inquiry, or other proceeding that arises out of or relates to your failure to comply with any applicable laws and regulations in connection with the transfer of personal data to or outside the EU/EEA including any applicable data protection legislation. You may be given access to our confidential information or confidential information from other authorized Users in relation to your use of our website or Service. Information and knowledge related to the operation and processes of the website and Service are also considered confidential information. You shall hold confidential information in confidence and, unless required by law, not make confidential information available to any third party, or use confidential information for any purpose other than as provided for in using our website or Service. You shall take all reasonable steps to ensure that confidential information to which you have access is not disclosed or distributed by any person in violation of this Agreement. You acknowledge that details of the Service constitute our confidential information. Subscriber represents and warrants that it has read, understands and shall comply with all laws, regulations and judicial actions including, but not limited to, the Identity Theft and Assumption Deterrence Act, the Fraud and False Statements Act, the USA PATRIOT Act, the Health Insurance Portability and Accountability Act of 1996 (“HIPAA”), the Gramm-Leach-Bliley Act and the Fair Credit Reporting Act (15 U.S.C. 1681 et seq. ), including without limitation, all amendments thereto, and all other applicable federal or state legislation, regulations and judicial actions, as now or as may become effective. 本协议的任何内容均不限制BBA对以下情况的责任：由于其或其人员的疏忽造成的死亡或人身伤害；欺诈或虚假陈述；或根据英国法律不能排除的任何其他责任，即使本协议的任何其他条款暗示可能是这种情况。 You expressly acknowledge and agree that the BBA: (a) is not a part to this Agreement and is not involved in the design, supply or support of Capital Confirmation Inc's services including the service promoted to UK banks as "BBA Confirmations"; (b) makes no representation or warranty that the services will be adequate or appropriate for you and its requirements and any BBA trademarks or logos present in marketing materials or other documents o not represent and endorsement of the service; (c) shall not be responsible for providing any of the services; and (d) shall have no liability to you whatsoever whether direct or indirect and whether in contact, tort (including negligence), misrepresentation or for any other reason in respect of any of the services provided under this agreement. You acknowledge and agree that: (a) members of Capital Confirmation's Group may be retained as sub-processors; and (b) Capital Confirmation and members of Capital Confirmation's Group respectively may engage third-party sub-processors in connection with the provision of the Services. We do not guarantee and shall not be liable for the performance of any sub-processor or sub-contractor. This Agreement shall be governed in all respects by the laws of the State of Tennessee, without reference to conflict of laws principles. You further consent to exclusive jurisdiction by the United States District Court for the Middle District of Tennessee. 您同意，发生合并或收购时，Capital Confirmation可自行决定将本协议及所有合并的协议自动转让给第三方。 You may not, without our prior written consent, assign, transfer, sub-contract or otherwise deal with any of your rights and/or obligations under this Agreement. 33. Your Acceptance of this User Agreement. Capital Confirmation will process personal data outside of the European Economic Area and Switzerland in a third country, the United States, which is not recognized by the European Commission and the Swiss Federal Data Protection and Information Commission respectively as providing an adequate level of privacy protection. (A) Capital Confirmation is committed to ensuring that adequate safeguards are in place to protect the data that Capital Confirmation store and process. (B) Capital Confirmation has signed up to the EU-US Privacy Shield Framework, a European Commission approved adequacy mechanism for providing protection to personal data transferred to a third country. (C) Capital Confirmation has signed up to the Swiss-US Privacy Shield Framework, a Swiss Federal Data Protection and Information Commission approved adequacy mechanism for providing protection to personal data transferred to a third country. (D) This Schedule 1 reflects that Capital Confirmation is Privacy Shield certified (in relation to the EU and Switzerland, as may be relevant) and that the parties agree to rely on such certification as the chosen adequacy mechanism to provide protection to personal data which is subject to the Directive, and which is transferred by you to Capital Confirmation. 1.2 An entity “Controls” another entity if it (a) holds a majority of the voting rights in it; (b) is a member or shareholder of it and has the right to remove a majority of its board of directors or equivalent managing body; (c) is a member or shareholder of it and controls alone or pursuant to an agreement with other shareholders or members, a majority of the voting rights in it; (d) has the right to exercise a dominant influence over it pursuant to its constitutional documents or pursuant to a contract; and two entities are treated as being in “Common Control” if either controls the other (directly or indirectly) or both are controlled (directly or indirectly) by the same entity. 2.1 Where we process ‘personal data’ (as defined in Directive) for the purpose of the provision of the services to you and which is transferred outside of the European Economic Area or Switzerland (either directly or via onward transfer) to us in the United States. we are committed to ensuring that adequate safeguards are in place to protect such data that we store and process. As set out in Clause 13, our data processing activities will take place in the United States, a third country not recognized by the European Commission or the Swiss Federal Data Protection and Information Commission as providing an adequate level of privacy protection. Accordingly, we self-certify to and comply with the EU-US Privacy Shield and Swiss-US Privacy Shield Frameworks administered by the US Department of Commerce. We will comply with the EU-US Privacy Shield and Swiss-US Privacy Shield Frameworks, as required, for as long as such mechanism is regarded as providing adequate protection to personal data transferred outside the European Economic Area or Switzerland (as the case may be) by the European Commission and the Swiss Federal Data Protection and Information Commission respectively (or other body with such authority). (i) act only on instructions from you in connection with the provision of the services (unless otherwise prohibited by applicable law). (ii) provide appropriate and technical organizational measures to protect personal data against accidental or unlawful destruction or accidental loss, alteration unauthorized disclosure or access. Including maintaining administrative, physical, and technical safeguards for protection of the security, confidentiality and integrity of Personal Data uploaded to the online audit confirmation service, as described in Capital Confirmation's service organization controls report, accessible via the Security section of this page or otherwise made reasonably available by us from time to time. (iii) provide assistance, where applicable, to you in responding to individuals exercising their rights under applicable data protection law (unless otherwise prohibited by applicable law). 2.3 You acknowledge and agree that: (a) members of Capital Confirmation’s Group may be retained as sub-processors; and (b) Capital Confirmation and members of Capital Confirmation’s Group respectively may engage third-party sub-processors in connection with the provision of the Services. Welcome to the User Agreement for Capital Confirmation Inc. This Agreement describes the terms and conditions applicable to your use of our services available under the domain and sub-domains of www.confirmation.com (including www.capitalconfirmation.com, www.myconfirmation.com, www.cashconfirm.com, www.bbaconfirmations.com, and www.bba.confirmation.com) and the general principles for the websites of our subsidiaries.如果您不同意接受本协议条款与条件的约束，请勿使用或访问我们的服务。 You evidence your acceptance of the terms and conditions of this Agreement through your use of any of the Confirmation.com services (aka “ConfirmÔ” service). 10. Electronic Communications; Identifiers and Passwords; Binding Effect. 11A. Personal Data transferred outside of the EU / EEA / Switzerland. This Clause 11A applies where we process ‘personal data’ (as defined in Schedule 1). 我们致力于确保采取充分的保障措施来保护我们存储和处理的此类数据。Our data processing activities will take place in a third country not recognized by the European Commission or the Swiss Federal Data Protection and Information Commission as providing an adequate level of privacy protection, therefore where you are established in the EU / EEA / Switzerland or our services to you involve the transfer of personal data which originates from the EU / EEA / Switzerland, Schedule 1 will apply and is incorporated into and forms part of this Agreement. 12. Supervisor, Secretary, Coordinator and Clerk Authentication. Subscriber certifies that any and all subject(s) set up as the subscriber’s supervisor(s), secretary(s), coordinator(s) and/or clerk(s) on the Confirm service are authorized and employed representatives of the subscriber. 我们及子公司、员工和供应商按照“现状”提供网站和服务，但不提供任何类型的保证。 THE PROVIDER, TO THE FULLEST EXTENT PERMITTED BY LAW, DISCLAIMS ALL WARRANTIES, INCLUDING THE WARRANTY OF MERCHANTABILITY, NON-INFRINGEMENT OF THIRD-PARTIES' RIGHTS, AND THE WARRANTY OF FITNESS FOR A PARTICULAR PURPOSE.提供方概不保证服务或其任何内容的准确性、可靠性、完整性或及时性。 WE MAKE NO WARRANTIES THAT THE WEBSITE OR SERVICE WILL REMAIN AVAILABLE. WE RESERVE THE RIGHT TO DISCONTINUE OR ALTER ANY OR ALL OF THE WEBSITE OR SERVICE, AND TO STOP PUBLISHING OUR WEBSITE OR SERVICE AT ANY TIME AND IN OUR SOLE DISCRETION WITHOUT NOTICE OR EXPLANATION, AND YOU WILL NOT BE ENTITLED TO ANY COMPENSATION OR OTHER PAYMENT UPON THE DISCONTINUANCE OR ALTERATION OF OUR WEBSITE OR SERVICES. 16. Fair Credit Reporting Disclosure. 20. British Banker’s Association, BBA Enterprises Limited plus any other group company of the British Banker’s Association (Together the “BBA”). You expressly acknowledge and agree that the BBA: (a) is not a party to this Agreement and is not involved in the design, supply or support of Capital Confirmation Inc’s services including the service promoted to UK banks as “BBA Confirmations”; (b) makes no representation or warranty that the services will be adequate or appropriate for you and its requirements and any BBA trademarks or logos present in marketing materials or other documents do not represent an endorsement of the service; (c) shall not be responsible for providing any of the services; and (d) shall have no liability to you whatsoever whether direct or indirect and whether in contact, tort (including negligence), misrepresentation or for any other reason in respect of any of the services provided under this agreement. You acknowledge and agree that: (a) members of Capital Confirmation’s Group may be retained as sub-processors; and (b) Capital Confirmation and members of Capital Confirmation’s Group respectively may engage third-party sub-processors in connection with the provision of the Services. 30. Your Acceptance of this User Agreement. (A) Capital Confirmation will process personal data outside of the European Economic Area and Switzerland in a third country, the United States, which is not recognized by the European Commission and the Swiss Federal Data Protection and Information Commission respectively as providing an adequate level of privacy protection. (B) Capital Confirmation is committed to ensuring that adequate safeguards are in place to protect the data that Capital Confirmation store and process. (C) Capital Confirmation has signed up to the EU-US Privacy Shield Framework, a European Commission approved adequacy mechanism for providing protection to personal data transferred to a third country. (D) Capital Confirmation has signed up to the Swiss-US Privacy Shield Framework, a Swiss Federal Data Protection and Information Commission approved adequacy mechanism for providing protection to personal data transferred to a third country. (E) This Schedule 1 reflects that Capital Confirmation is Privacy Shield certified (in relation to the EU and Switzerland, as may be relevant) and that the parties agree to rely on such certification as the chosen adequacy mechanism to provide protection to personal data which is subject to the Directive, and which is transferred by you to Capital Confirmation. 2.1 Where we process ‘personal data’ (as defined in Directive) for the purpose of the provision of the services to you and which is transferred outside of the European Economic Area or Switzerland (either directly or via onward transfer) to us in the United States. 我们致力于确保采取充分的保障措施来保护我们存储和处理的此类数据。 As set out in Clause 11, our data processing activities will take place in the United States, a third country not recognized by the European Commission or the Swiss Federal Data Protection and Information Commission as providing an adequate level of privacy protection. Accordingly, we self-certify to and comply with the EU-US Privacy Shield and Swiss-US Privacy Shield Frameworks administered by the US Department of Commerce. We will comply with the EU-US Privacy Shield and Swiss-US Privacy Shield Frameworks, as required, for as long as such mechanism is regarded as providing adequate protection to personal data transferred outside the European Economic Area or Switzerland (as the case may be) by the European Commission and the Swiss Federal Data Protection and Information Commission respectively (or other body with such authority). (ii) provide appropriate and technical organizational measures to protect personal data against accidental or unlawful destruction or accidental loss, alteration unauthorized disclosure or access. 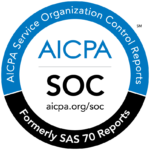 Including maintaining administrative, physical, and technical safeguards for protection of the security, confidentiality and integrity of Personal Data uploaded to the online audit confirmation service, as described in Capital Confirmation's service organization controls report, accessible via the Security section on this page or otherwise made reasonably available by us from time to time. Welcome to the User Agreement for Capital Confirmation Inc. This Agreement describes the terms and conditions applicable to your use of our services available under the domain and sub-domains of www.confirmation.com (including www.capitalconfirmation.com, www.myconfirmation.com, www.bbaconfirmations.com, and www.bba.confirmation.com) and the general principles for the websites of our subsidiaries.如果您不同意接受本协议条款与条件的约束，请勿使用或访问我们的服务。 You evidence your acceptance of the terms and conditions of this Agreement through your use of any of the Confirmation.com services (aka “Confirm™” service). 3.1 Capital Confirmation不是银行或法律事务所，也不是银行或法律事务所的授权代表。我们的网站旨在为用户提供一个可随时随地申请和接收询证函的渠道。 We are not involved in the actual transaction between users of and providers of the confirmation information.因此，我们无法控制申请和复函的质量、准确性、及时性、合法性或真实性。 We also cannot ensure that a provider will actually complete a transaction. 3.5 客户支持。Monday through Friday between the hours of 8:00 A.M. and 5:00 P.M Central Standard Time, customer support shall be available free of charge by telephone or by email at one or more phone numbers or email addresses to be specified on our website located at www.confirmation.com. 8. Ownership of Intellectual Property. 11. Electronic Communications; Identifiers and Passwords; Binding Effect. 12A. Personal Data transferred outside of the EU / EEA / Switzerland. This Clause 12A applies where we process ‘personal data’ (as defined in Schedule 1).我们致力于确保采取充分的保障措施来保护我们存储和处理的此类数据。Our data processing activities will take place in a third country not recognized by the European Commission or the Swiss Federal Data Protection and Information Commission as providing an adequate level of privacy protection, therefore where you are established in the EU / EEA / Switzerland or our services to you involve the transfer of personal data which originates from the EU / EEA / Switzerland, Schedule 1 will apply and is incorporated into and forms part of this Agreement. 15. Fair Credit Reporting Disclosure. 19. British Banker’s Association, BBA Enterprises Limited plus any other group company of the British Banker’s Association (Together the “BBA”). You expressly acknowledge and agree that the BBA: (a) is not a part to this Agreement and is not involved in the design, supply or support of Capital Confirmation Inc.’s services including the service promoted to UK banks as “BBA Confirmations”; (b) makes no representation or warranty that the services will be adequate or appropriate for you and its requirements and any BBA trademarks or logos present in marketing materials or other documents o not represent and endorsement of the service; (c) shall not be responsible for providing any of the services; and (d) shall have no liability to you whatsoever whether direct or indirect and whether in contact, tort (including negligence), misrepresentation or for any other reason in respect of any of the services provided under this agreement. We do not guarantee and shall not be liable for the performance of any sub-processor or sub-contractor. 我们不保证对服务的访问能够持续、不中断或者无安全风险，我们网站的运营也可能被超出我们控制范围的众多因素所干扰。如果本协议的任何条款被认为无效或无法执行，该条款将被取消，其余条款仍将予以执行。标题仅供参考之用，并未定义、限制、解释或描述各节的范围或程度。如果我们未能对您或他人的违约采取行动，并不表示放弃对后续或类似违约采取行动的权利。英语是Confirmation.com网站内容的官方语言。通过使用第三方服务提供商，Confirmation.com为英语水平有限的用户提供访问本网站信息的途径。通过自动化程序完成的翻译不应视为完全准确，尤其是技术和法律术语。此外，有些文件（包括图表、照片和便携式文档格式 (PDF) ）无法通过该程序进行翻译。Capital Confirmation Inc.不保证本系统所翻译任何信息的准确性或可靠性，因此对于因依赖此类信息的准确性或可靠性而产生的任何损失概不负责。尽管我们已尽一切努力确保翻译的准确性，仍有部分内容可能不正确。任何依赖于从该系统所获信息的个人或实体应自行承担风险。本协议阐述了我们之间就相关主题达成的完整谅解和协议。 Sections 2 (Fees and Service) with respect to fees owed for our services, 3.3 (Release), 7.3 (License), 9 (Access and Interference), 14 (Liability Limit), 15 (Indemnity) and 19 (Arbitration) shall survive any termination or expiration of this Agreement. 本协议的服务由Capital Confirmation Inc.（地址：214 Centerview Drive, Suite 265, Brentwood, Tennessee 37027）提供。 Fees for our services are described above in Section 2 (Fees and Service). 29. Your Acceptance of this User Agreement. I have read and agree to the User’s Agreement and all information provided. I have the right to and do hereby authorize my financial institution, trade creditor, bank, trading partner, debtor and other business partners to use Capital Confirmation’s Confirmation.com service to respond to and release the requested information to my Accountant. (E) This Schedule 1 reflects that Capital Confirmation is Privacy Shield certified (in relation to the EU and Switzerland, as may be relevant) and that the parties agree rely on such certification as the chosen adequacy mechanism to provide protection to personal data which is subject to the Directive, and which is transferred by you to Capital Confirmation. 2. International data transfer outside the European Economic Area or Switzerland. 2.1 Where we process ‘personal data’ (as defined in Directive) for the purpose of the provision of the services to you and which is transferred outside of the European Economic Area or Switzerland (either directly or via onward transfer) to us in the United States. 我们致力于确保采取充分的保障措施来保护我们存储和处理的此类数据。 As set out in Clause 12, our data processing activities will take place in the United States, a third country not recognized by the European Commission or the Swiss Federal Data Protection and Information Commission as providing an adequate level of privacy protection. Accordingly, we self-certify to and comply with the EU-US Privacy Shield and Swiss-US Privacy Shield Frameworks administered by the US Department of Commerce. We will comply with the EU-US Privacy Shield and Swiss-US Privacy Shield Frameworks, as required, for as long as such mechanism is regarded as providing adequate protection to personal data transferred outside the European Economic Area or Switzerland (as the case may be) by the European Commission and the Swiss Federal Data Protection and Information Commission respectively (or other body with such authority). 提供相应的技术和机构措施，保护个人数据免遭意外或非法破坏，或意外丢失、篡改、未经授权被披露或访问。 Including maintaining administrative, physical, and technical safeguards for protection of the security, confidentiality and integrity of Personal Data uploaded to the online audit confirmation service, as described in Capital Confirmation's service organization controls report, accessible via the Security section of this page or otherwise made reasonably available by us from time to time. This Confirmation.com Service Agreement - Law Firm User (this "Agreement") is between Capital Confirmation, Inc., a Delaware corporation (the "Provider"), and the law firm accessing and using the Confirmation.com Service (as defined below) (the "Law Firm"), and sets forth the terms and conditions under which the Law Firm shall have the right to use the Provider's Confirmation.com Service. This Agreement shall be effective as of the date of its electronic acceptance by the Law Firm (the "Effective Date"). 1. Confirmation.com Service. During the Term of this Agreement, the Law Firm shall have the right to access and use the Provider’s Confirmation.comSM Service (the “Confirmation.com Service”). For purposes of this Agreement, the Confirmation.com Service shall mean the Provider’s electronic communications platform operated for purposes of delivering communications between the Law Firm and other Confirmation.com Service users, including, but not limited to, accounting firms (“Auditors”) engaged from time to time by the Law Firm’s clients (“Clients”).此Confirmation.com服务应该协助交付客户提供给法律公司的审计申请函和法律公司提供给审计方的审计回复函，在每种情况下，这些信函均与代表客户所完成的审计服务相关，并且相关客户已经相应授权可针对此情况使用Confirmation.com服务。 For the avoidance of doubt, the Confirmation.com Service is a communication platform, and the Law Firm’s transmission of information via the Confirmation.com Service shall have the same effect and intent as if such information had been transmitted in written form. 2. Term. This Agreement shall be effective from the Effective Date until it is terminated in accordance with the provisions of this Agreement (the “Term”). 3. Termination. 双方均可以随时终止此协议，另一方收到书面形式的终止通知时即刻生效。 Without limiting any other remedies, the Provider may suspend or terminate the Law Firm’s account if the Provider reasonably suspects that the Law Firm (by conviction, settlement, insurance investigation or otherwise) has engaged in fraudulent activity in connection with the Provider’s site. 4. Electronic Communications; Identifiers and Passwords; Binding Effect. In order to initiate a session where information is transmitted, the Law Firm will select and use an identification code (such as a “log-in ID”) and a password. The Law Firm shall protect and safeguard its identification codes and passwords and shall permit only authorized officials, employees or agents of the Law Firm (“Authorized Persons”) to use the identification codes and passwords in connection with the Confirmation.com Service. The Provider and all other persons receiving information from the Law Firm (“Law Firm Information”) that has been transmitted using the Law Firm’s identification codes and passwords selected by the Law Firm shall be entitled to rely (absent a breach of the Provider’s physical and technological security safeguards) that the information so transmitted has been transmitted by Authorized Persons and has been duly authorized by a Client with the same effect and intent as if such information had been transmitted in written form bearing the written signature of an Authorized Person. The Provider shall promptly notify the Law Firm if the Provider has reason to believe that the Provider has suffered any breach of its systems, including without limitation its physical and technological security safeguards. If the Law Firm believes that the Law Firm’s identification codes and passwords have been lost, stolen or compromised in any respect, the Law Firm shall promptly notify the Provider’s Customer Support team at (615) 844-6222. 5. Ownership of Intellectual Property. The Provider shall have and retain all rights, title and interest in all intellectual property relating to the Confirmation.com Service or arising out of the relationship described in this Agreement, in each case as developed by the Provider. The Provider shall have no right, title or interest in any information transmitted by or on behalf of Clients to the Law Firm or by the Law Firm to Clients or Auditors via the Confirmation.com Service. This Section 5 shall survive the termination of this Agreement. Unsolicited ideas or product feedback will automatically become our property, without any compensation to you and we may use or distribute such submissions and their contents for any purpose and in any way without any obligations of confidentiality or otherwise. 6. Notices. All notices under this Agreement must be in writing and sent by email and will be effective when received by such party at the respective following address or such other address as will have been provided in writing. For the Provider, such notice shall be sent to: Capital Confirmation, Inc., Customer.Support@Confirmation.com. For the Law Firm, such notice shall be sent to the email address(es) provided by the Law Firm to the Provider. 7. Custom Development Requests. Custom development requests for the Provider’s applications must be requested in writing, reviewed by the Provider and mutually agreed to by both parties in writing. Custom development fees are charged at the Provider’s standard development rate and paid in accordance with the terms set forth within a Statement of Work (SOW) to be agreed upon by the parties in writing. 8. Confidentiality of Law Firm Information. (a) The Law Firm’s transmittal of Law Firm Information to Auditors through the Confirmation.com Service shall not be deemed to constitute a waiver of any attorney-client privilege, work product doctrine or any other applicable privilege that applies to such Law Firm Information. (b) The Provider represents and warrants to the Law Firm that the Confirmation.com Service is an electronic conduit to facilitate the delivery of requests for information and responses thereto in connection with audit services conducted for the Law Firm's Clients by Auditors. In accordance with the Provider's stated security and privacy policies, the Provider shall maintain physical and technological security safeguards to protect the confidentiality of all Law Firm Information transmitted via the Confirmation.com Service. (c) The Provider agrees that all Law Firm Information is to be treated confidentially and that, except as required by law, the Provider shall not provide any Law Firm Information to any person, other than Auditors within the scope of the relevant Client’s authorization, without the prior written consent of the Law Firm. (d) If the Provider is requested or required (by oral questions, interrogatories, requests for information or documents in legal proceedings, subpoena, civil investigative demand or other similar process) to disclose any of the Law Firm Information, the Provider shall provide the Law Firm with prompt written notice of any such request or requirement so that the Law Firm may seek a protective order or other appropriate remedy and/or waive compliance with the provisions of this Agreement. If, in the absence of a protective order or other appropriate remedy or the receipt of a waiver from the Law Firm, the Provider is nonetheless legally compelled to disclose the Law Firm Information to any tribunal or other entity or else stand liable for contempt or suffer other censure or penalty, the Provider may, without liability hereunder, disclose to such tribunal or other entity only that portion of the Law Firm Information which the Provider is legally required to be disclosed, provided that the Provider exercises its best efforts to preserve the confidentiality of the Law Firm Information, including, without limitation, by cooperating with the Law Firm without expense to the Provider, to obtain an appropriate protective order or other reliable assurance that confidential treatment will be accorded the Law Firm Information by such tribunal or other entity. 9. Entire Agreement; Amendment. This Agreement represents the entire agreement between the Law Firm and the Provider with respect to the Confirmation.com Service, and it takes the place of all other agreements, writings and negotiations, including any other user agreement that is either posted on the Provider’s website or deemed to be accepted by the Law Firm upon the Law Firm’s usage of the Confirmation.com Service at any time prior or subsequent to the date of this Agreement.Custom Development Requests. Custom development requests for the Provider’s applications must be requested in writing, reviewed by the Provider and mutually agreed to by both parties in writing. Custom development fees are charged at the Provider’s standard development rate and paid in accordance with the terms set forth within a Statement of Work (SOW) to be agreed upon by the parties in writing. 10. Acceptance. You evidence your acceptance of this Agreement by using the Confirmation.com Service. Such acceptance shall have the same legal effect as your written signature set forth on a written document containing the terms and conditions of this Agreement. 11. Data Transfer Outside of the European Economic Area. Where the provision of Confirmation.com Services by the Provider to the Law Firm involves any transfer of personal data (as defined in Exhibit A) outside of the European Economic Area (by way of direct or indirect transfer), Exhibit A shall apply and is incorporated into and forms part of this Agreement. (A) In accordance with the provision of the Confirmation.com Service, Provider will process personal data outside of the European Economic Area in a third country, the United States, which is not recognized by the European Commission as providing an adequate level of privacy protection. (B) Provider is committed to ensuring that adequate safeguards are in place to protect the data that Provider store and process. Accordingly, this Exhibit A provides that adequate safeguards are in place with respect to the protection of such Personal Data as required by the Directive (as defined below). (C) Provider has signed up to the EU-US Privacy Shield Framework, a European Commission approved adequacy mechanism for providing protection to personal data transferred to a third country. (D) This Exhibit A reflects that the Provider is Privacy Shield certified and that the parties agree to rely on such certification as the chosen adequacy mechanism to provide protection to personal data which is subject to the Directive, and which is transferred by the Law Firm or a Law Firm Affiliate (as defined below) to Provider. (b) “Law Firm Affiliate” means any corporate entities which are from time to time under Common Control with the Law Firm. 2.1 The parties agree that where the Provider processes ‘personal data’ (as defined in Directive) for the purpose of the provision of the services to Law Firm and/or a Law Firm Affiliate and which is transferred outside of the European Economic Area (either directly or via onward transfer) to Provider in the United States. Provider is committed to ensuring that adequate safeguards are in place to protect such data that we store and process. Provider’s data processing activities will take place in the United States, a third country not recognized by the European Commission as providing an adequate level of privacy protection. Accordingly, Provider self-certifies to and complies with the EU-US Privacy Shield Framework administered by the US Department of Commerce. Provider will comply with the EU-US Privacy Shield Framework, as required, for as long as such mechanism is regarded as providing adequate protection to personal data transferred outside the European Economic Area by the European Commission (or other body with such authority). (a) act only on instructions from the Law Firm or a Law Firm Affiliate in connection with the provision of the services (unless otherwise prohibited by applicable law). (b) provide appropriate and technical organizational measures to protect personal data against accidental or unlawful destruction or accidental loss, alteration unauthorized disclosure or access. Examples of such measures include those made available on the Security section of this page or otherwise made reasonably available by us from time to time. (c) provide assistance, where applicable, to the Law Firm and / or a Law Firm Affiliate in responding to individuals exercising their rights under applicable data protection law (unless otherwise prohibited by applicable law). 2.3 The Law Firm acknowledges and agrees that: (a) members of Provider’s Group may be retained as sub-processors; and (b) Provider and members of Provider’s Group respectively may engage third-party sub-processors in connection with the provision of the services. 3.1 Each Law Firm Affiliate shall have the right to enforce the provisions of this Exhibit B but shall not otherwise have any right to enforce any other rights of the Agreement, whether with regard to the delivery of Confirmation.com Services or otherwise. Under no circumstances shall the Law Firm or any Law Firm Affiliate be entitled to recover more than once for the same loss or damage. 3.2 The Law Firm’s remedies, including those of any Law Firm Affiliate, arising out of or related to this Exhibit A will be subject to those exclusions and limitations of liability which apply to the Law Firm under the Agreement. 3.3 Except as expressly provided in clause 3.1 above, a person who is not a party to this Exhibit A shall not have any rights to enforce any term of this Exhibit A. 1 This Agreement incorporates the input of members of the American Bar Association Business Law Section Audit Responses Committee, which takes no position regarding whether individual law firms should employ the services contemplated by this Agreement or should accept its terms and conditions. Welcome to the User Agreement for Capital Confirmation Inc. This Agreement describes the terms and conditions applicable to your use of our services available under the domain and sub-domains of www.confirmation.com (including www.capitalconfirmation.com, www.myconfirmation.com, www.cashconfirm.com, www.bbaconfirmations.com, and www.bba.confirmation.com) and the general principles for the websites of our subsidiaries.如果您不同意接受本协议条款与条件的约束，请勿使用或访问我们的服务。 You evidence your acceptance of the terms and conditions of this Agreement by checking the box for the “Yes, I have read and accept the User Agreement.” statement and clicking the “Create New Account” button on Capital Confirmation’s website and through your use of any of the Confirmation.com services (aka “Confirm” service). 3.1 Capital Confirmation不是银行或法律事务所，也不是银行或法律事务所的授权代表。 我们的网站旨在为用户提供一个可随时随地申请、接收和购买询证函的渠道。 We are not involved in the actual transaction between users of and providers of the confirmation information.因此，我们无法控制申请和复函的质量、准确性、及时性、合法性或真实性。 We also cannot ensure that a provider will actually complete a transaction. 3.5 客户支持。 Monday through Friday between the hours of 8:00 A.M. and 5:00 P.M. Central Standard Time, customer support shall be available free of charge by telephone or by email at one or more phone numbers or email addresses to be specified on our website located at www.confirmation.com. The Out-of-Network confirmation service requires the requestor to enter the contact information for the responder and the responder’s company. 作为申请人，您应确定网外询证函发向何人及哪个实体，因此该实体及该实体的人员便是复函方，您同意全权负责对个人复函方及其声称所代表的公司进行身份验证和确认。您理解，Capital Confirmation并未也不会确认复函方或其声称所代表的公司的身份。 You release and hold harmless Capital Confirmation from any and all claims related to the responder’s identity and/or the identity of the company the responder claims to represent if you request confirmations through www.confirmation.com using the Out-of-Network confirmation service. All Customer Financial information residing within Confirmation.com's secure processing controls will be maintained and stored according to our stated security and privacy policies. Confirmation.com takes no responsibility for Customer Financial information once this data is no longer within Confirmation.com's control (e.g data downloaded by user, or mailed confirmations). This Clause 13A applies where we process ‘personal data’ (as defined in Schedule 1). 我们致力于确保采取保障措施来保护我们存储和处理的此类数据。 Our data processing activities will take place in a third country not recognized by the European Commission or the Swiss Federal Data Protection and Information Commission as providing an adequate level of privacy protection, therefore where you are established in the EU / EEA / Switzerland or our services to you involve the transfer of personal data which originates from the EU / EEA / Switzerland, Schedule 1 will apply and is incorporated into and forms part of this Agreement. You certify that any and all subject(s) set up as your client(s) on the Confirmation.com service are authorized representatives of your client(s). You certify that any confirmations requested are with the subject(s)' prior written permission. You agree to keep the authorization on file for a minimum of 5 years. 通常此书面许可采用客户委托书的形式。 You warrant that the release of the subject(s)' information will not result in a breach of any applicable data privacy legislation. Capital Confirmation may, from time to time, conduct various audits of your practices and procedures to determine your compliance with this Agreement. You agree to reasonably cooperate in all those audits. Capital Confirmation may conduct on-site and/or off-site audits of your facilities as Capital Confirmation determines during normal business hours, and upon reasonable notice. MERCHANTABILITY, NON-INFRINGEMENT OF THIRD-PARTIES' RIGHTS, AND THE WARRANTY OF FITNESS FOR A PARTICULAR PURPOSE.提供方概不保证服务或其任何内容的准确性、可靠性、完整性或及时性。 WE MAKE NO WARRANTIES THAT THE WEBSITE OR SERVICE WILL REMAIN AVAILABLE. WE RESERVE THE RIGHT TO DISCONTINUE OR ALTER ANY OR ALL OF THE WEBSITE OR SERVICE, AND TO STOP PUBLISHING OUR WEBSITE OR SERVICE AT ANY TIME AND IN OUR SOLE DISCRETION WITHOUT NOTICE OR EXPLANATION, AND YOU WILL NOT BE ENTITLED TO ANY COMPENSATION OR OTHER PAYMENT UPON THE DISCONTINUANCE OR ALTERATION OF OUR WEBSITE OR SERVICES. LIABILITY AROSE, OR (B) $100. You shall indemnify and hold Capital Confirmation and (as applicable) our parent, subsidiaries, affiliates, officers, directors, agents, and employees and the financial institutions harmless from any and all third-party claims, losses and damages, liability, and costs, including attorney’s fees, against, or incurred by, Capital Confirmation to the extent such claims, damages, liability and costs result directly or indirectly from: (a) your negligence or intentional conduct; and/or (b) your breach of your obligations under this Agreement including, but not limited to, any breach which results in the unauthorized and/or non-permissible use of information obtained via Capital Confirmation’s Confirmation.com service or any other such service under this Agreement; (c) any claim that our website or Service or the use thereof infringes upon, misappropriates, or violates any intellectual property rights of any third party, provided that such claim results from or is related to (i) an unauthorized modification of our website or Service; (ii) the combination of the website or Service with software, hardware, or equipment not provided by us if our website or Service alone would not be the subject of such claim; or (iii) your unauthorized use of the website or Service; (d) any data breach suffered by you, your vendor or processor, or by a vendor or processor for Capital Confirmation; or (e) any claim, action, audit, investigation, regulatory action, inquiry, or other proceeding that arises out of or relates to your failure to comply with any applicable laws and regulations in connection with the transfer of personal data to or outside the EU/EEA including any applicable data protection legislation. You represent and warrant that you have read, understand, and shall comply with all laws, regulations and judicial actions including, but not limited to, the Identity Theft and Assumption Deterrence Act, the Fraud and False Statements Act, the USA PATRIOT Act, the Health Insurance Portability and Accountability Act of 1998 (“HIPAA”), the Gramm-Leach-Bliley Act and the Fair Credit Reporting Act (15 U.S.C. 1681 et seq. ), including without limitation, all amendments thereto, and all other applicable federal or state legislation, regulations and judicial actions, as now or as may become effective. You certify that you will use the service and the information received for no other purpose than is legally permissible. You understand that if the system is used improperly by company personnel, or if its access codes are made available to any unauthorized personnel due to carelessness on your part or any other, you may be held responsible for financial losses, fees or monetary charges that may be incurred and that its access privileges may be terminated. You expressly acknowledge and agree that the BBA: (a) is not a part to this Agreement and is not involved in the design, supply or support of Capital Confirmation Inc’s services including the service promoted to UK banks as “BBA Confirmations”; (b) makes no representation or warranty that the services will be adequate or appropriate for you and its requirements and any BBA trademarks or logos present in marketing materials or other documents o not represent and endorsement of the service; (c) shall not be responsible for providing any of the services; and (d) shall have no liability to you whatsoever whether direct or indirect and whether in contact, tort (including negligence), misrepresentation or for any other reason in respect of any of the services provided under this agreement. 我们不保证对服务的访问能够持续、不中断或者无安全风险，我们网站的运营也可能被超出我们控制范围的众多因素所干扰。如果本协议的任何条款被认为无效或无法执行，该条款将被取消，其余条款仍将予以执行。标题仅供参考之用，并未定义、限制、解释或描述各节的范围或程度。如果我们未能对您或他人的违约采取行动，并不表示放弃对后续或类似违约采取行动的权利。英语是Confirmation.com网站内容的官方语言。通过使用第三方服务提供商，Confirmation.com为英语水平有限的用户提供访问本网站信息的途径。通过自动化程序完成的翻译不应视为完全准确，尤其是技术和法律术语。此外，有些文件（包括图表、照片和便携式文档格式 (PDF) ）无法通过该程序进行翻译。Capital Confirmation Inc.不保证本系统所翻译任何信息的准确性或可靠性，因此对于因依赖此类信息的准确性或可靠性而产生的任何损失概不负责。尽管我们已尽一切努力确保翻译的准确性，仍有部分内容可能不正确。任何依赖于从该系统所获信息的个人或实体应自行承担风险。本协议阐述了我们之间就相关主题达成的完整谅解和协议。 Sections 2 (Fees and Service) with respect to fees owed for our services, 3.3 (Release), 8.3 (License), 10 (Access and Interference), 18 (Liability Limit), 19 (Indemnity) and 26 (Arbitration) shall survive any termination or expiration of this Agreement. 2 An entity “Controls” another entity if it (a) holds a majority of the voting rights in it; (b) is a member or shareholder of it and has the right to remove a majority of its board of directors or equivalent managing body; (c) is a member or shareholder of it and controls alone or pursuant to an agreement with other shareholders or members, a majority of the voting rights in it; (d) has the right to exercise a dominant influence over it pursuant to its constitutional documents or pursuant to a contract; and two entities are treated as being in “Common Control” if either controls the other (directly or indirectly) or both are controlled (directly or indirectly) by the same entity. 1 Where we process ‘personal data’ (as defined in Directive) for the purpose of the provision of the services to you and which is transferred outside of the European Economic Area or Switzerland (either directly or via onward transfer) to us in the United States. we are committed to ensuring that adequate safeguards are in place to protect such data that we store and process. As set out in Clause 13, our data processing activities will take place in the United States, a third country not recognized by the European Commission or the Swiss Federal Data Protection and Information Commission as providing an adequate level of privacy protection. Accordingly, we self-certify to and comply with the EU-US Privacy Shield and Swiss-US Privacy Shield Frameworks administered by the US Department of Commerce. We will comply with the EU-US Privacy Shield and Swiss-US Privacy Shield Frameworks, as required, for as long as such mechanism is regarded as providing adequate protection to personal data transferred outside the European Economic Area or Switzerland (as the case may be) by the European Commission and the Swiss Federal Data Protection and Information Commission respectively (or other body with such authority). 3 You acknowledge and agree that: (a) members of Capital Confirmation’s Group may be retained as sub-processors; and (b) Capital Confirmation and members of Capital Confirmation’s Group respectively may engage third-party sub-processors in connection with the provision of the Services. What personal data and protected health information (PHI) Capital Confirmation collects. What personal data third parties collect through the Website(s). What types of security procedures are in place to protect the loss, misuse or alteration of information under Capital Confirmation’s control. PHI may be stored on Capital Confirmation’s HIPAA compliant system as a document attachment to a legal confirmation request when/if this information is deemed pertinent to the legal confirmation audit. 所有客户财务信息或含有PHI的法律询证函附件均在Capital Confirmation安全处理控制范围内，并将根据我们申明的安全和隐私政策进行维护和存储。 Capital Confirmation takes no responsibility for Customer Financial Information once this data is no longer within Capital Confirmation's control (e.g., data downloaded by user, or mailed confirmations). The Confirmation website(s) serve the function of an on-line provider of balance assurance services for its customers. This service is designed for use by accountants in their conducting of audit procedures as described by Generally Accepted Accounting Standards (GAAS). We process General Personal Data only for so long as is necessary for the purpose(s) for which it was originally collected, after which it will be deleted or archived except to the extent that it is necessary for us to continue to comply with our legal obligations, resolve disputes, and enforce our agreements. We store information specifically given to us by our users through the account set up process, and/or the account edit process. In addition, we store IP address, browser type, Internet Service Provider (ISP) and access times. 我们不会存储通过使用cookies提供的信息。 A profile has stored information that provides the company with information describing the end user of our service. All such collected information is used only for the conducting of the provision of our service. Like most standard website(s) servers we use log files. This includes Internet Protocol (IP) addresses, browser type and Internet Service Provider (ISP), referring/exit pages, operating system and access time. Capital Confirmation and its production Confirmation Website(s), use log files only to track errors in the system. Log file information is not tied to a user's personal data. These include email, mail, and call communications to facilitate the processing of audit confirmations, announce new enhancements to the service, aid in common user account administration functions, distribute information on upcoming site maintenance, and to provide notice of various updates to our terms of service or polices. These also include communications designed to educate and provide resources to both new and existing users on how to use the application, welcome emails, training sessions, and Responder Network updates. We may from time to time send emails or mail to provide you with information regarding new product and service offerings, product and service notifications, and/or complimentary resources. Generally, you may not opt-out of Customer Support or Core Communications.如果您不希望收到这些公告，您可选择选择停用您的账户。 If you do not wish to receive marketing communications you can simply not consent to receiving them (if your location requires consent), use the “Manage Your Preferences” and “Unsubscribe” links provided within each marketing email message, or contact Customer Support at Customer.Support@confirmation.com. Though we make every effort to preserve user privacy, we may also need to disclose personal data or legal confirmation attachments containing PHI when required by law such as to comply with a subpoena, bankruptcy proceedings, or similar legal process when we believe in good faith that disclosure is necessary to protect our rights, protect your safety or the safety of others, investigate fraud, or respond to a government request. We use PCI-DSS compliant outside credit card processing companies to bill users for services. These companies do not retain, share, store, or use personal data for any secondary purposes. 我们的网站会不时通过问卷调查或竞赛向用户索取信息。这些问卷调查或竞赛的参与者均属自愿参与，因此用户可选择是否披露此信息。我们索取的信息通常包括联系信息（例如姓名和送货地址）以及人口统计信息（例如邮编）。联系信息将用于通知获奖者和颁发奖品。问卷调查信息将用于监测或改善本网站的使用体验和用户满意度。除非我们提供事先通知和选择，否则我们不会与第三方分享用户的个人身份信息。 Though we may use an intermediary to conduct these surveys or contests, they may not use users' personal datafor any secondary purposes. This Website(s) takes every precaution to protect our users' information. When users submit sensitive information via the Website(s), their information is protected both online and offline. If users have any questions about the security at our Website(s), users can send an email to: Customer.Support@confirmation.com (www.confirmation.com, bba.confirmation.com, www.creditconfirm.com) or EDCustomer.Support@confirmation.com (edu.confirmation.com). In order for the website(s) to properly fulfill its obligation to users it is necessary for us to supplement the information we receive with information from 3rd party sources.We use outside sources to verify a user’s accounting credentials to validate that user’s access to our system.If you provide us personal information about others, or if others give us your information, we will only use that information for the specific reason for which it was provided to us. Upon request Capital Confirmation will provide you with information about whether we hold any of your personal information. You may also request a copy or access to the personal data concerned. If your personal data changes (such as zip code, phone, email or postal address) you can update your data by editing your user profile on the Confirmation.com Website(s) or by contacting Customer Support. If you have a complaint about the processing of your personal data by Capital Confirmation, please contact Customer Support. If we are unable to rectify the issue to your satisfaction, you are always able to lodge a formal complaint with the applicable Supervisory Authority. Personal data inquiries can be submitted by contacting the Capital Confirmation Data Protection Officer at Customer.Support@confirmation.com(www.confirmation.com, bba.confirmation.com, www.creditconfirm.com) or EDCustomer.Support@confirmation.com (edu.confirmation.com). We will respond to your request within 30 days. Our website(s) includes social media features, such as the Facebook "Like" button, and Widgets, such as the "Share This" button or interactive mini-programs that run on our website(s). These features may collect your Internet Protocol (IP) address, which page you are visiting on our website(s), and may set a cookie to enable the feature to function properly. social media features and widgets are either hosted by a third party or hosted directly on our website(s). Your interactions with these features are governed by the privacy statement of the company providing it. 除了其他认可外，我们还会在网站上发布满意客户的个人感言。征得您的同意之后，我们会发布您的个人感言以及您的姓名。 If you wish to update or delete your testimonial, you can contact us at Customer.Support@confirmation.com (www.confirmation.com, bba.confirmation.com, www.creditconfirm.com) or EDCustomer.Support@confirmation.com(edu.confirmation.com). Our website includes links to other website(s) whose privacy practices may differ from those of Capital Confirmation. If you submit personal data to any of those sites, your information is governed by their privacy policies. We encourage you to carefully read the privacy statement of any website(s) you visit. The data that we process in relation to you may be transferred to, and stored at, a destination outside the European Economic Area ("EEA") and Switzerland, that may not be subject to equivalent data protection law. It may also be processed by staff situated outside these areas who work for us or for one of our suppliers. This includes staff engaged in activities such as the fulfilment of orders, the processing of payment details, and the provision of support services. Where personal data is transferred in relation to providing our services, we will take all steps reasonably necessary to ensure that it is protected by appropriate safeguards. Capital Confirmation and its subsidiary companies (Capital Confirmation International LLC, Confirmation Technology Services LLC, Confirmation.com UK Pvt. Ltd., Confirmation.com India Pvt. Ltd., Confirmation.com Japan Kabushiki Kaisha) participates in and has certified its compliance with the EU-U.S. Privacy Shield Framework and the Swiss-U.S Privacy Shield Framework. Capital Confirmation is committed to subjecting all personal data received from European Union (EU) member countries and Switzerland, respectively, in reliance on the Privacy Shield Framework, to the Framework’s applicable Principles. To learn more about the Privacy Shield Frameworks, and to view our certification, visit the U.S. Department of Commerce’s Privacy Shield List (https://www.privacyshield.gov/list). If you have an unresolved privacy or data use concern that we have not addressed satisfactorily, please contact our U.S.-based third party dispute resolution provider (free of charge) at https://feedback-form.truste.com/watchdog/request. Under certain conditions, more fully described on the Privacy Shield Website(s (https://www.privacyshield.gov/article?id=How-toSubmit-a-Complaint), you may invoke binding arbitration when other dispute resolution procedures have been exhausted. In providing our services, we act as a data processor on behalf of the users of our services in relation to personal data that is processed using the service, in which case we will process the relevant personal data only for the purpose(s) of providing the service and otherwise in accordance with our agreement with the users and the regulations that apply to us directly as a data processor. Legitimate Interest – User validation, transactional confirmation activities including authorization, user access permissions, user account management, core site communications, and customer support. Personal data processed by Capital Confirmation is never used to make automated decisions that would have negative consequences for its data subjects. The United Kingdom’s Information Commissioner’s Office is the lead supervisory authority for Capital Confirmation, Inc. in the EU and can provide further information about your rights and our obligations in relation to personal data, as well as to address any complaints that you have about our processing of your personal data. 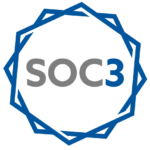 View our SOC 3 Report. Capital Confirmation has certified under the guidelines set forth in the EU-US Privacy Shield and Swiss-US Privacy Shield frameworks and has undergone successful review by the U.S. Department of Commerce. The Privacy Shield Frameworks provide a set of robust and enforceable protections for the personal data of EU and Swiss individuals transferred to third parties. The Frameworks provide strong U.S. government oversight, increased cooperation with EU and Swiss data protection authorities (DPAs), and transparency regarding how participating companies use personal data. The Privacy Shield Frameworks also offer EU and Swiss individuals multiple avenues to address any concerns regarding participants' compliance with the Frameworks including free dispute resolution. 《一般数据保护条例》的主要目的是让欧盟居民对自己的个人数据拥有控制权，并通过统一整个成员国的规定来简化国际业务的监管环境。Confirmation.com致力于保护自己及其客户的信息。为了实现这一目标，公司实施了许多控制措施以确保符合《一般数据保护条例》的规定。 Please read below for more information. On May 25, 2018, the European Union (EU) began enforcing a new data protection regulation, the General Data Protection Regulation, or GDPR. The GDPR is designed to harmonize data privacy laws across Europe, to protect and empower all EU citizens' data privacy and to reshape the way organizations across the region approach data privacy. The GDPR applies to organizations located within the EU, and to organizations located outside of the EU if they offer goods or services to, or monitor the behavior of, EU natural persons or 'data subjects.' It applies to all companies processing and holding the personal data of data subjects residing in the EU, regardless of the company's location. What steps is Confirmation.com taking to comply with GDPR? Confirmation.com welcomes the GDPR as an important step forward in streamlining data protection requirements across the EU, and as an opportunity for our organization to strengthen our commitment to data protection. Personal Data Processing Inventory (Article 30 Report) Created and Maintained. For more information about Confirmation.com and GDPR, email DataInquiries@confirmation.com. Further information on GDPR specifically can be found at eugdpr.org. The federal Health Insurance Portability and Accountability Act of 1996 (HIPAA), includes laws and regulations governing health insurance coverage protection and health information security for Americans and their families. The intent of HIPAA is to assure the portability of health insurance, decrease health care fraud and abuse, improve efficiency and effectiveness of healthcare, enforce standards, and guarantee security and privacy of patient identifiable information. HIPAA and HITECH compliance certification is the formal way to assure individuals that a provider is committed to protect their medical information. We are committed to respect the privacy of all health care information and to follow industry standard guidelines for securing patient information. Maintaining payment security is required for all entities that store, process or transmit cardholder data. Guidance for maintaining payment security is provided in PCI security standards. These standards detail the technical and operational requirements for organizations accepting or processing payment transactions, and for software developers and manufacturers of applications and devices used in those transactions. Confirmation helps auditors comply with auditing standards and requirements. Please read below to learn how Confirmation complies with the AICPA. Confirmation uses a unique authentication and authorization process to verify the authenticity of each user. By sending a request to a validated responder, you eliminate the burden of having to verify the identity of the respondent and whether or not they are authorized to respond.Undergoes SOC 1, SOC 2 and SOC 3 examinations every six months, and has received an ISO 27001 certification of its Confirmation.com service. .A3 Responses to confirmation requests provide more relevant and reliable audit evidence when confirmation requests are sent to a confirming party who the auditor believes is knowledgeable about the information to be confirmed. 使用最高安全等级以确保隐私和数据完整性。 Undergoes SOC 1, SOC 2 and SOC 3 examinations every six months, and has received an ISO 27001 certification of its Confirmation service. Confirmation helps auditors comply with auditing standards and requirements. Please read below to learn how Confirmation complies with the PCAOB. .27 The auditor should consider whether there is sufficient basis for concluding that the confirmation request is being sent to a respondent from whom the auditor can expect the response will provide meaningful and appropriate audit evidence. Confirmation helps auditors comply with auditing standards and requirements. Please read below to learn how Confirmation complies with the ISA.